Texas has the second-highest number of families living in public housing with incomes as much as $250,000 above the income limits to get in, according to data from the U.S. Department of Housing and Urban Development. In Olney, Texas — near Wichita Falls — a family receiving taxpayer subsidies to pay rent makes $227,709, while another family residing in public housing in Pineland on the eastern edge of the state makes $184,499. Those are the most extreme examples of Texas families living in public housing even though their incomes far exceed the caps to qualify for discounted rent. 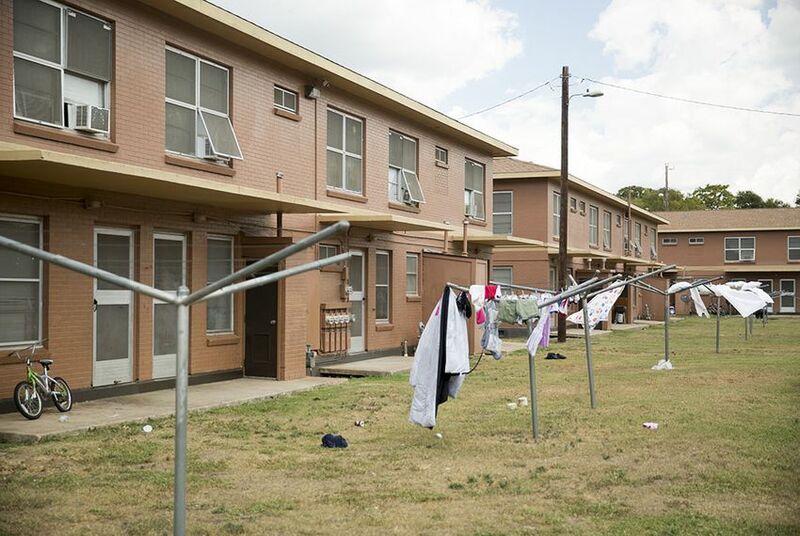 The pattern is prevalent across Texas, which is the state with the second-highest number of “over-income” families living in public housing, according to data from the U.S. Department of Housing and Urban Development. A recent audit of HUD’s public housing program for 2014 and 2015 found more than 25,000 families living in public housing nationwide that made more than the income limit to qualify for rent subsidies. Of those, 1,056 live in Texas. In light of the audit’s finding, HUD spokesman Jereon Brown said in a statement, the department is working to encourage housing authorities to establish policies that would reduce the number of over-income families. In Texas, the Housing Authority of the City of El Paso has the highest number of over-income families with 82 households. The El Paso family with the largest disparity between their income limit — based on the number of people in a household — made $79,716 a year, $43,566 over the income limit. The Houston Housing Authority came in second with 46 over-income families. The highest over-income family in Houston made $94,923 a year — $52,273 over the income limit. In Houston, Brian Gage, a senior policy advisor for the housing authority, described the audit as a “disappointing misunderstanding” of the city's program. As families’ incomes grow, they pay more rent and the housing authority requires less federal subsidies to operate the program, Gage said.